MARINETTE, Wisconsin, the United States (BulgarianMilitary.com) – The U.S. Navy received the Littoral Combat Ship 15 through a delivery by Lockheed Martin and Fincantieri Marinette Marine (FMM). That was revealed by Lockheed Martin on 6th February 2019, learned BulgarianMilitary.com. The Littoral Combat Ship 15 (LCS 15) is the future USS Billings. Billings is the 8th Freedom-variant LCS developed, built and delivered by the industry team led by Lockheed Martin. It will be commissioned this year. The vessel will be homeported at Naval Station Mayport in the U.S. state of Florida, alongside USS Milwaukee (LCS 5), USS Detroit (LCS 7), USS Little Rock (LCS 9), USS Sioux City (LCS 11) and USS Wichita (LCS 13). Six ships are in various manufacturing and test phases at FMM. The next ship of the same class, the future USS Indianapolis (LCS 17), will also be delivered in 2019 after completion of trials. Moreover, this spring it will be also started the works on building the future USS Marinette (LCS 25). 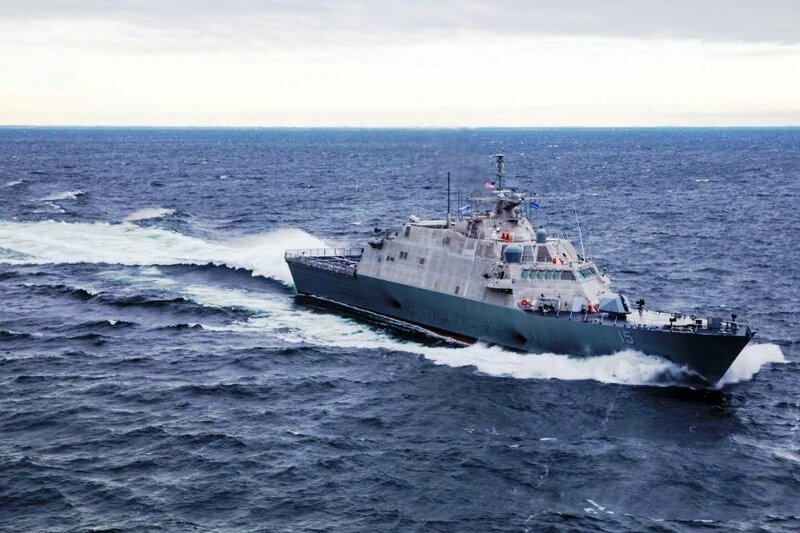 The Freedom-variant LCS features new technology and capability to support current and future missions conducted from deep water to the littorals. It is developed to integrate modular weapons, including unmanned and manned vehicles so that to deliver the important war-fighting capability to the fleet in mine counter measures, anti-surface and anti-submarine warfare. The vessel capabilities are continuously evolved on the grounds of rigorous Navy operational testing, sailor feedback and multiple successful fleet deployments.